While tree marking near Port Perry, we came across some interesting wildlife observations. 1/ a grouse nest with two wild turkey eggs! and 2/ a substantial midden. 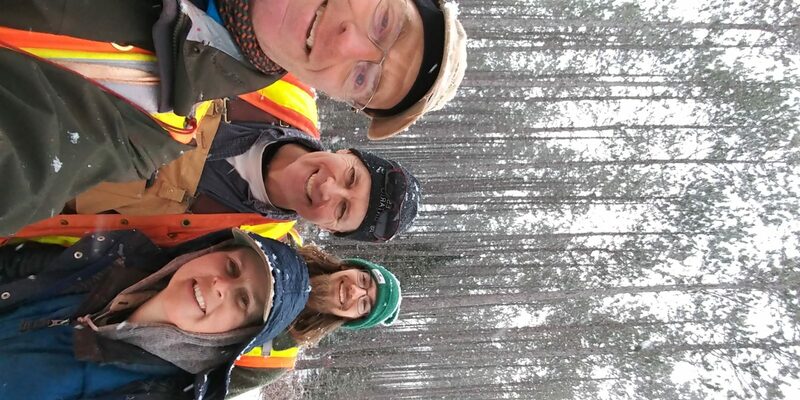 Here we are in a winter wonderland of spring ready to tree mark. Once we warmed up, it was a beautiful day in the Kawartha lakes Forest .